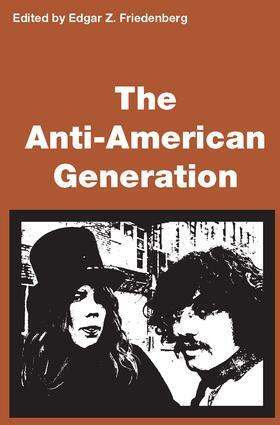 This book examines the social atti-tudes that distinguish today's youth from their predecessors, identifies the sources of these attitudes in the social experiences of today's youth, and analyzes the stereotype implied in the term "Anti-American Generation." These essays show clearly that the issue between the dissenting, primarily middle-class youth and their elders and most of the working class (regardless of age) is a difference of opinion not about Americanism but about moral behavior and the scope of moral judgment. What distinguishes the generations is not so much their feelings about their country, as' their feelings about what people should do about their feelings and the role feelings should have in the conduct of one's life. The at-titudes of the young are largely in conflict with an older cultural tra-dition that promotes the subordi-nation of impulse and personal conviction to rational control for the sake of common purposes and future acceptability and effective-ness.